Cheap Bermuda hotels? Well, Bermuda accommodations are not exactly cheap. In fact, some of them charge pretty scary prices. Usually even the cheapest hotels in the island would be anywhere between $150 - $175 for a room per night during the high season (May to October). Some of them can go up to $250 depending on the location and time of your stay. During winter however, the rates at several hotels come down (by about 20% or so). Other than budget hotels, Vacation Rentals can also be a good option for an economical stay (but most will require minimum nights of booking, about a week or more). Such short term vacation apartments or studios offer homelike privacy and provision for cooking. Another good option is Guesthouses & Inns which however may not offer all the services and amenities available in a hotel, but would usually serve breakfast and tea in a common lounge where you can meet and chat with other guests. The guesthouses usually offer a relaxed and casual atmosphere with basic services like room cleaning, self-serviced laundry etc while several have modern amenities like wifi. 1) Room rates are subject to a 9.75% occupancy tax, which is added to your bill. 2) A service charge (often known as gratuity) of about 10% also gets added to your room charges. Following are my selection of the best & cheap hotels and lodgings in Bermuda by location. Warwick is a western parish and well known for its pink south shore beaches, the most prominent being Warwick Long Bay Beach. Several hotels are in close proximity to the beaches. On an average, it takes about 35-40 minutes to reach a hotel in Warwick by taxi from the airport. Warwick is well connected with Royal Naval Dockyard (at the west end) as well as Hamilton City with two bus routes. The ferry docks (Belmont Ferry, Darrell's wharf etc) on north shore provide faster ferry connection to Hamilton City. Hamilton is about 20 minutes by bus. Granaway is a great budget guesthouse. It's a fairly old mansion and you get a taste of old Bermuda here along with modern amenities. Rooms have different colors and facilities, like some have exclusive terrace or patios. There is also a nice cottage in Granaway. The property has wonderful grassy lawn, garden, pool and harbor views. Clairfont offers some of the best apartments in Bermuda. It's clean and minutes walk from some of the best beaches in Bermuda. The rooms are spacious with kitchens. A great choice if you plan to cook yourself. Accommodation is limited and you will need to book well in advance. This is another excellent B&B in Bermuda run by Carole Holding. She is an artist herself and her great sense of aesthetics is visible all across this property. With an excellent view of the harbor and wonderful accommodation, this is a great place for a romantic vacation. The property has only two large rooms for guests booth of which are very well appointed with all amenities. Additionally it has a nice pool. The ferry dock is only 3 minutes walk and offers a convenient access to Hamilton City. Located on South Shore Road in Warwick, Sandpiper Apartments in Bermuda provides a good bargain along with convenience. While it's not a beachfront property, the South Shore Beaches are all within few minutes of bus ride. The bus stop is a short walk and you can easily reach Hamilton City as well. The units are all spacious, well equipped with fully functional kitchenettes and have separate living & dining areas. Great for families of up to four. Hamilton City is in Pembroke Parish and centrally located. Although there are no beaches or beachside hotels in Hamilton, some hotels have lovely harbor views. Being the Capital, Hamilton is also the hub of numerous shops, restaurants, bars and nightlife. Bus and Ferry access is also easy (unless you stay at the outskirts of Pembroke). All buses and ferries originate from Hamilton reaching out to various places in the island and return. On an average, it takes about 30-35 minutes to reach a hotel in Hamilton by taxi from the airport. This is a small, perfect and homely guesthouse located very conveniently at the western edge of Hamilton City. The ferry terminal is only 5 minutes walk and the bus terminal about 10 minutes walk. There are only two independent studio rooms with attached bath and kitchenette. The guesthouse offers plenty of amenities including snorkel gears, beach towels, pay & use prepaid cell phone for local & international calls, small garden with BBQ gas oven, tea/coffee maker, fridge and lot more. This is an excellent property, an English manor house with elegant & classical furnishing and interiors offering upscale bed & breakfast accommodation at an affordable rate. The location is quiet in a garden setting yet only 10-minute easy walk to the downtown Hamilton and ferry terminal. The property has a large pool, several spacious rooms of different sizes with modern amenities and elegantly done up. all rooms have private balconies or terraces with nice sitting arrangement, some rooms have kitchenettes. This is a great choice for both leisure and business travelers. Kingston House offers a superb B&B lodging option if you prefer to stay a little away from the main city of Hamilton but within walking distance. The house, which gives a casual relaxed feel with home comfort, serves nice vegetarian breakfast, is located at an elegant garden suburb on the west of Hamilton city. If you like tranquility, great clean rooms with modern amenities and also want to be close to the city center, Kingston House can be a great choice. Robin's nest offers a set of excellent self-contained apartments run by a very friendly hostess. All rooms have private balconies or patios. The rooms in the ground floor overlook the pool while the ones upstairs have nice view of the water at a distance. If you like to stay a little away from the main city of Hamilton in a quiet residential area, this can be an excellent option, although it takes only 10 minutes to reach the city by bus. This is an excellent option for a Bed & Breakfast guesthouse if you want to be close to Hamilton City and easily walk across to the Ferry & Bus Terminals, and the Front Street restaurants and stores. With 12 well furnished rooms, Oxford House offers British style ambience and warmth, friendly & polite staff, and convenience which is not easy to get in the island. Rosemont offers nice apartments in a central location in Pembroke parish and close to Hamilton City with kitchenettes & modern amenities. Most apartments have great views of the Hamilton harbor. This property is only few minutes walk from downtown Hamilton and provides all convenience required by both vacationers and business travelers. They serve complimentary continental breakfast. An additional bonus is its nice garden setting with a great pool. Mazarine by the sea has a lovely cottage and 7 apartments. It's right on the oceanfront and offers a great budget accommodation for a quiet stay. It is only 20 minutes walk from the city of Hamilton. This is where it gets as quiet as it can be in Bermuda. What more ... you have rooms with balcony overlooking the ocean and a great pool at the cliff side with amazing water views as well. Great choice for a romantic vacation. Paget is a central parish. It has the famous Elbow Beach which is easily accessible from several hotels. It takes about 30-35 minutes to reach a hotel in Paget by taxi from the airport. Several bus routes connect Paget with Hamilton as well as the dockyard. Hamilton is only about 10 minutes by bus. Greenbank Guesthouse and Cottages is located right on the salt Kettle Peninsula of Paget parish. The cottages and double rooms have beautiful water view of Great Sound water area. The Salt Kettle ferry dock is a short easy walk offering a convenient access to Hamilton City. The main house here is a historical house of colonial days. Dawkins Manor, located in a quiet place in Paget, has eight very nice apartments most with fully equipped kitchens. One of the best things about this property is its central location ... proximity to Elbow beach, bus stop and grocery store. Many of the Bermuda's top attractions like the south shore beaches and city of Hamilton are only few minutes away by bus. The property has won many awards from the tourism department of Bermuda. A family run accommodation located on South Shore Road in Paget. It's only about 10 minute walk from Elbow Beach and 10 minutes by bus from Hamilton. All rooms have nice amenities including AC, free wifi, microwave, fridge etc. The one bedroom suite has a full kitchen. There is also a Super Market at a walking distance. The restaurant next to the property serves Bermudian food and popular with locals. Salt Kettle, a great bed & breakfast accommodation is always known of being a wonderful retreat away from the crowd and having an adjoining beautiful bay in Hamilton Harbor. With wonderful scenery coupled with traditional charm, excellent service and personal care from the hostess and her family members, this B&B lodging is unmatched in its category and a great value for money. It's all about pure bliss and the quality speaks for itself. Most guests here are repeat visitors who book moths in advance. It's located at a short walk from Salt Kettle Ferry Terminal which offers a very convenient ferry connection to Hamilton City. This is one of the oldest buildings in Bermuda constructed some 400 years ago during the British colonial days in a typical Bermudian style. Little Pomander Guest House is located on a residential street and along the water edge of Hamilton harbor. The bus stop is nearby and walk to Hamilton City takes only about 15 minutes. With its charm, friendly and cooperative host and view of the water from the backside lawn, it's a good selection for a budget stay. Two self contained and well furnished lovely cottages overlooking the Grape Bay and the beach on south shore. The cottages are complete with kitchens and offer a romantic setting ideal for couples. You can walk down the stairway to the beach. This in fact is the closest it can get in this category to stay almost on the beach with easy access. The nearest grocery is at a walking distance (15 minutes) and Hamilton City is about 10 minutes by bus or scooter. This is a modern boutique hotel designed for business travelers and extended stay. The hotel offers 5 suites and 10 rooms all having private balconies with great views of the Hamilton harbor, and offering excellent amenities. The ferry dock is only steps away making it very easy to commute to Hamilton in few minutes. All suites have fully equipped and stocked kitchen while the rooms have galley kitchen to prepare food. In-room breakfast and supper are available. Horizons and Cottages is located in Paget and offers a cottage colony having an array of 13 cottages with wonderful view of the ocean and the surrounding landscape. This is an eastern parish and located closer to the airport. It takes about 15-20 minutes to reach a hotel in Hamilton Parish by taxi from the airport. Several hotels have great harbor views. Shelly bay beach - a nice family beach is located here. Two bus routes operating between Hamilton City and St. George pass through this parish. This property is located at the eastern end of Bermuda near the Flatts village. It's a great place for an informal and relaxing vacation. There are several types of apartments here and most are complete with kitchens. Many of the island's attractions are within close reach including the Aquarium, Crystal Caves, Shelly bay beach. This is a nice cottage colony conveniently located between Hamilton City and St. George's town. Most units have undergone upgrades recently and have kitchens. Several rooms in older units and the suites in the newly built building have wonderful view of the ocean. The main pool is superb and overlooks the ocean. The in-house restaurant is great as well and the staffs are friendly. So if you are looking for a quiet and private stay, like to cook your own food with an option of dining at an in-house restaurant, have lovely view of the ocean and enjoy great amenities in a relatively budget hotel, then Clear View Suites & Villas can be a good choice. This is the western most parish. Takes about an hour to reach a hotel from the airport by taxi. The parish has several lovely beaches on western shore. Two bus routes operate between the parish and Hamilton City passing through Southampton, Warwick and Paget. There are also ferry docks at Sandy's providing fast ferry access to Hamilton city. There are three apartments and two nice cottages each with their own unique decor. The property has a pool and you can do deep water swimming as well in the nearby Ely's harbor. The name of the property itself suggests that a wonderful Garden with many flowering plants is central to it. And the lady owner is obsessed with her garden. Overall the property provides an informal, private and home like atmosphere. Spread over 18 waterfront acres on the western-most tip of Bermuda, it offers a spectacular setting for a relaxing vacation in an ecologically sound resort. There are 84 nice cabanas. A western parish with the world famous Horseshoe Bay Beach and several others. Two bus routes operating between dockyard and Hamilton city pass through the parish. There is also a ferry dock. It takes about 40-45 minutes to reach a hotel in Southampton by taxi from the airport. Hamilton is about 30 minutes by bus. Located at the Jennings Bay in Southampton Bermuda, Greene's is a nice guest houses and Bed & Breakfast accommodation in Bermuda. It has a wonderful view of the waters of Great Sound. This is a good choice if you are looking for stay a bit away from the typical touristy places, enjoy privacy and great view of the waters. A centrally located parish. Takes about 20-25 minutes to reach a hotel in Hamilton Parish by taxi from the airport. Several bus routes operating between Hamilton City and St. George pass through the parish. Located quite centrally in Bermuda, Barngrove has two guest apartments that are part of a private home. The property is owned by the Holmes family and is nestled in a beautiful lush garden. Due to its central location, Barngrove is quite close to both the City of Hamilton as well as the great south shore beaches. This is the eastern most parish where the airport is located. St. George's Town is the main place in the parish and takes about 7-8 minutes to reach by taxi from the airport. The town is a UNESCO world heritage site and steeped with history. Several bus routes connect St. George's town with Hamilton (about 1 hour by bus). Aunt Nea's Inn is well known for its Bermudian architecture like the tray ceiling with exposed cedar beams and other classic features that offer you the old warm charm. It has a nice garden setting and great view of the harbor. The inn provides a nice and homely ambience. It's quite conveniently located .... bus top, scooter rentals, restaurants and stores are all located within walking distance. No meals available though. Bridge House, Category: $ X Now offered only as a bare apartment on monthly rent. Located behind Kings Square, Bridge house had an annex cottage type building that was run privately as a budget vacation apartment. It is now closed. Now the upper floor of the main building is given on long term rent. This guest apartment is great for a family who would love to stay in a well maintained historic house with two bedrooms, great traditional architectural features, a nice private porch, and conveniently located within walking distance to the shops, restaurants and public transports. The property belongs to Bermuda National Trust. Use the search box below from world's no.1 online hotel booking site. Mention your check-in and check-out dates and hit the search button. It will show you all the hotels available with rates, amenities, review scores etc. Sort the hotels by price so that you can see the cheapest ones first. You can then compare and book a hotel of your choice at attractive low price. 1) The Hotel Map shows the location of all the top hotels in Bermuda. 4) Hotels Directory: Wide range of hotels to choose from. Are there hostels there? Maybe a family willing to barter? Since I'd like to walk, bike and be outside most of the day and night, I just don't want to spend big $ on a bed/shower. Can you point me in the right direction? I'm 56 and in decent shape, will be alone. There are no hostels in Bermuda neither any paying guest accommodations. Your best bet for cheapest lodging would be to search through bermudarentals website, and you may be able to find something for $85 to $95 a day. That's the lowest it can go in the island. Hi Raj, Thanks so much for a wonderful site. I have a question about some of the smaller budget hotels and apartments you have listed. Some of them don't have room safes to lock up passports. Q1) Do most people then carry their passports around with them at all times; Q2) passports aside, are these smaller establishments safe? We're looking specifically at Mazarine by the Sea and while the reviews across the internet sound wonderful, without someone monitoring the apartments, I don't want our safety to be compromised. Of course we wouldn't travel with anything valuable at all. Thanks so much for your most valuable opinion here. Regards from NY. Hi Mara, Most visitors staying in budget hotels would carry passports with them when there are no personal safes available. While I haven't heard of a case where hotel staffs are involved with valuables or important documents getting lost, it's mostly for personal comfort why people carry the passports. 5 minutes walk to Warwik Long Bay Beach (one of the best beaches in the island), 3 minutes walk to public transports, Hamilton City (the central hub for shops & restaurants) is 17 minutes by bus, Horseshoe Bay Beach (arguably the best beach in the island) is 5 minutes by bus, Warwick Children's Playground (important for your kids) is just 3 minutes walk. Check out Clairfont Apartments for details about the accommodation. You can also see the menu option "Cheap Hotels" to know about all the budget stays that are our personal favorites. 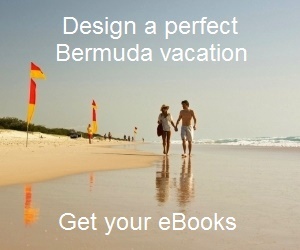 Book early..... summer is the peak time in Bermuda and good hotels get full well in advance. Good luck!! We stayed in the Glencoe many years ago...can not find is this the salt pond b&b in Paget Thank you.....looking to stay there again. Hi, Glencoe was a great property at Salt Kettle, but was demolished several years back. It was converted into a condo for local residents. Greenbank Guest House and Cottages is very close to that property. Also Hazel Lowe's Salt Kettle House B&B located on the Salt Kettle is still running very successfully. These are the closest that you can get to the old Glencoe memories. Regards.